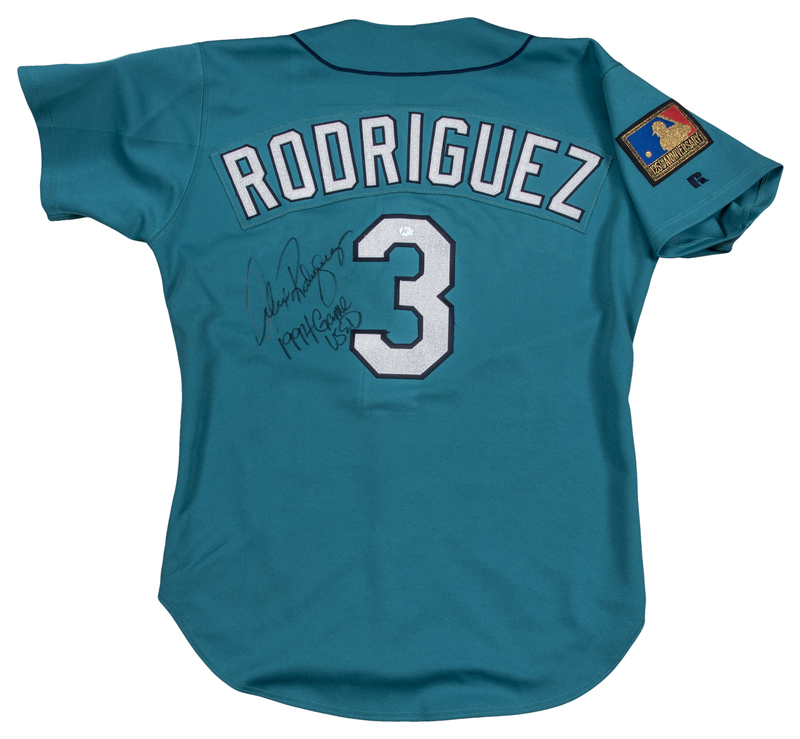 Three-time American League MVP Alex Rodriguez wore this teal Seattle Mariners alternate jersey during his rookie season of 1994. Rodriguez, the first overall pick of the 1993 MLB Draft, debuted on July 8th, 1994 against the Boston Red Sox at Fenway Park. He played in 17 games during the 1994 season, collecting 11 hits with two RBI and three stolen bases in the abbreviated 1994 campaign. Rodriguez would go on to have one of the greatest careers in baseball history, clubbing 696 homers with over 3,000 hits, 14 All-Star appearances, and 10 Silver Sluggers. 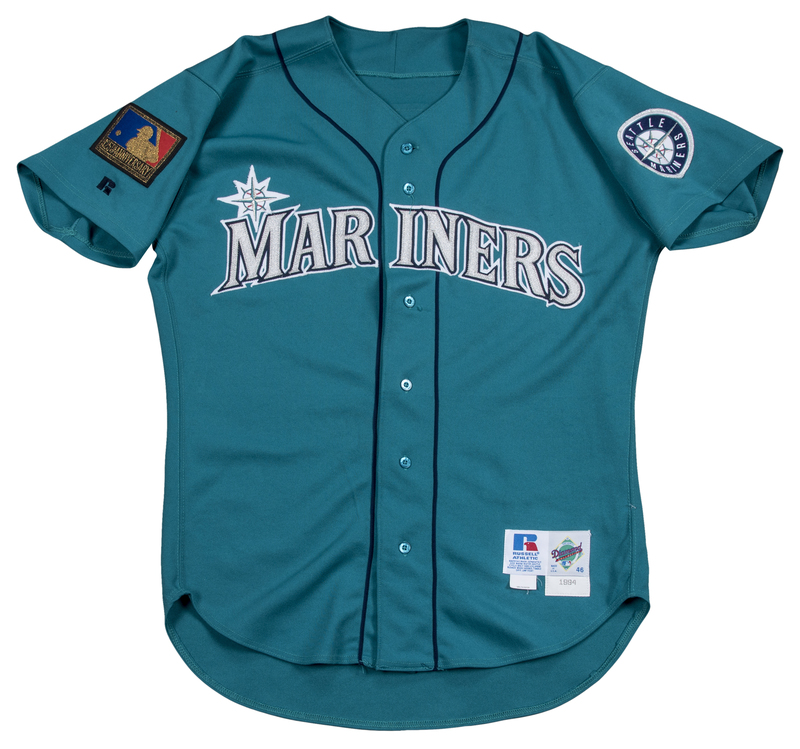 This teal button-down Seattle jersey has “MARINERS” sewn across the chest in metallic silver, navy, and white tackle twill. 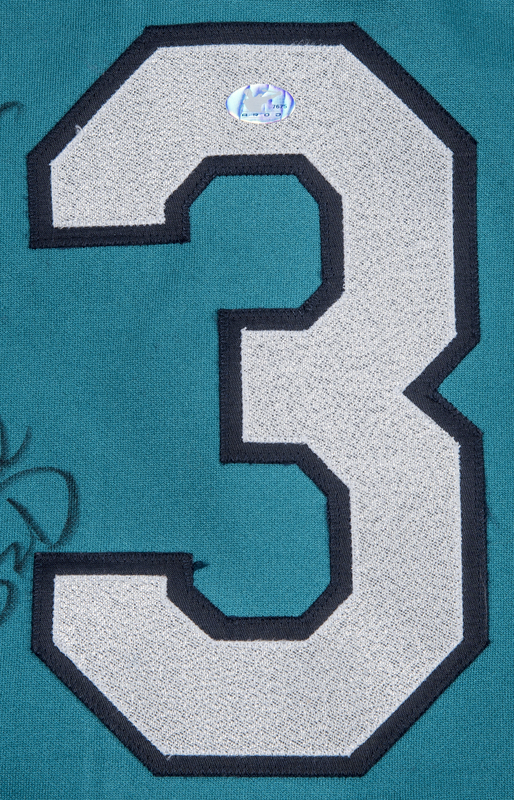 “RODRIGUEZ” and his number “3” are sewn on the back in metallic silver and navy tackle twill, while the “RODRIGUEZ” is sewn over a matching teal nameplate. 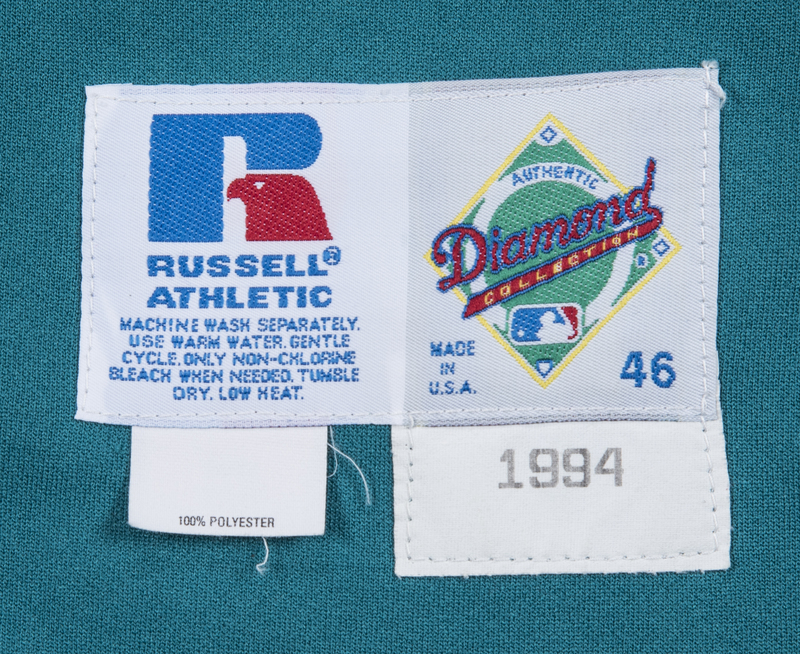 A MLB 125th Anniversary patch is sewn on the right sleeve above a Russell Athletic logo and a Mariners logo patch is sewn on the left sleeve. 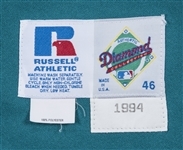 A Russell size “46” tag and a “1994” year tag are sewn on the front left tail. Rodriguez has signed the back of this jersey in black marker, inscribing “1994 Game Used” in addition to his signature. This jersey comes with a LOA from game used jersey expert Dave Miedema and a LOA from Steve Grad of Beckett Authentication Services.